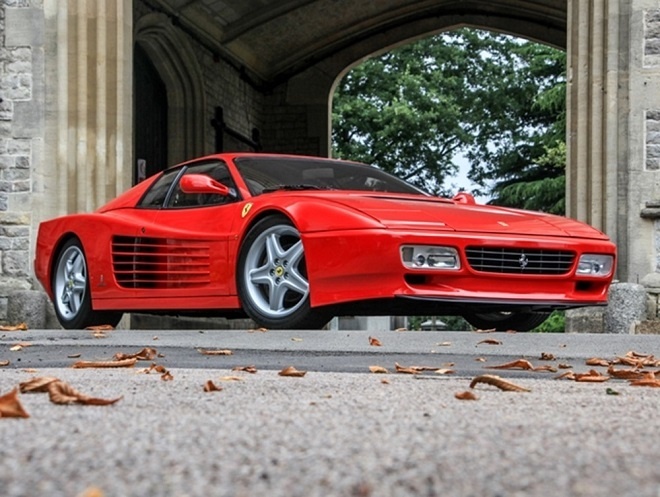 The 412 may not be the most celebrated of Ferraris ever made – but beauty, they say, is in the eye of the beholder, and the four-seat Prancing Horse from the 1980s does have it fans. The folks at Ares Design evidently count themselves among them, and are working to bring it back. 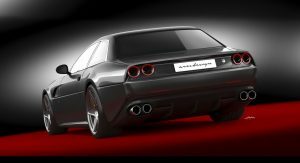 The idea is to rebody the GTC4 Lusso with retro coachwork evocative of the 412. Precursor to the 456 GT, the 412 was the final iteration in an evolution of four-seat Prancing Horses that started with the 365 GT4 2+2, and lead to today’s 4WD shooting brake. 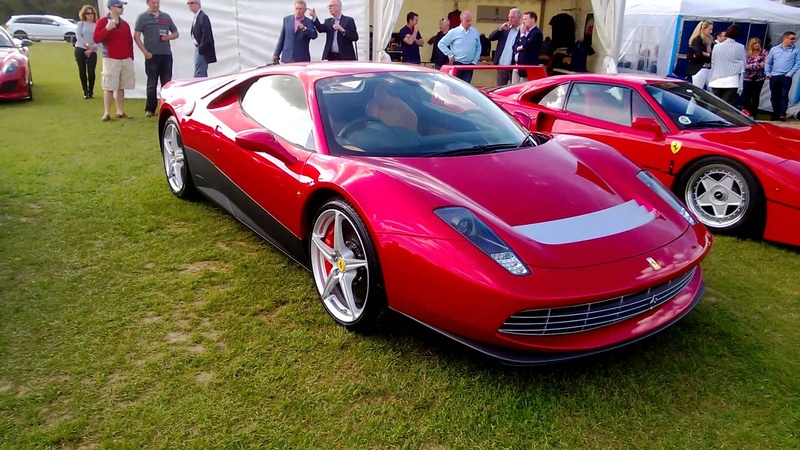 The 412 packed a 4.9-liter naturally aspirated V12 into long and low bodywork styled by Pininfarina. Following the 400 it replaced, it was one of the first Ferraris to be offered (for better or worse) with an automatic transmission: a three-speed slushbox presented as an alternative to the standard five-speed manual. In fact, with 306 automatics and 270 manuals made, the torque-converted model was (slightly) more popular. 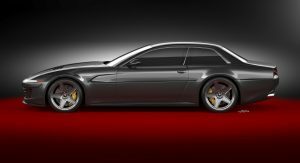 The revival would lay custom retro carbon-fiber bodywork over the GTC4’s chassis, retaining the all-wheel drivetrain and 6.3-liter V12 – though we’d imagine the Modenese carrozzeria wouldn’t take issue with rebodying the T version, with its 3.9-liter twin-turbo V8 driving the rear wheels only. 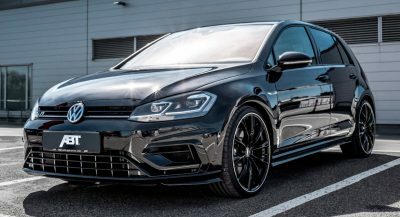 Both versions transmit their power through a seven-speed dual-clutch gearbox. 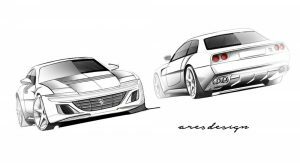 Having already rolled out its rebodied G-Wagen and revealed plans for the Panther revival, the company headed by former Lotus chief Dany Bahar (who had previously worked at Ferrari) aims to begin production of “Project Pony” later this year. Pricing is quoted to start at €700,000, or about $875k at current exchange rates. Their most original design to date, still it doesn’t resonate to me. Another modern rip off of old cars. The 412 is lovely and this rendering is well made, but I’m not completely sold. I’d rather a modern 412 not to be just a remake. Exactly, they just do a modern version of it, it’s not a homage or inspired, more like blatant remake. 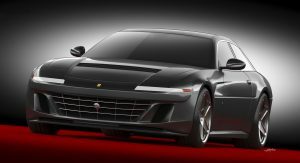 Oh and a bit of updates for Ares, the Pantera look a like had 9 order so far, next project is this 412 inspired GTC4 Lusso. And also a German customer ask them to rebodied a 918 Spyder. They also set up divison for restomod, first product is LS engined Corvette C2 with tacky wheels inspired by original wheels. The next project would be 964 like Singer or Guntherworks. I never understood the hate for the 400-Series Ferrari. They looked good to me! Only Daft Punk seemed to like the 412. Bring back the pop-up headlights, I’ll take one. This is what happens when you run out of ideas and you no longer have a contract with Pininfarina to design your cars. Actually the last (ugly) Ferrari was what happens. Sorry. “This” is an unofficial rendering, so… what are you on about? 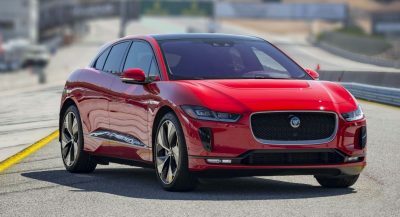 In your statement you said “This is what happens when you run out of ideas and you no longer have a contract with Pininfarina to design your cars”. 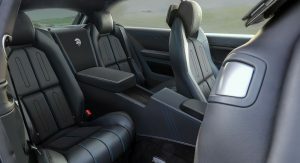 I replied this is is just an unofficial rendering, and therefore Ferrari had nothing to do with it. So, again: what are you on about? THE CAR IS UNBALANCED. THE REAR IS TOO SMALL. The original sold badly, is hardly even remembered by enthusiasts and THIS is the car they decide to reproduce. Bahar is an idiot. Luckily he’s a good at selling his ideas to investors so he gets to be stupid with other people’s money. If you have millions of dollars you can make it.